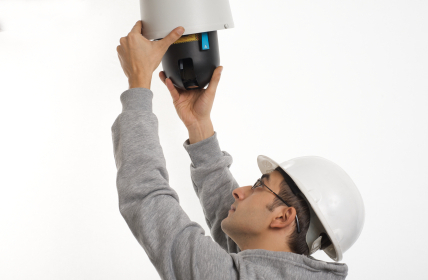 Video surveillance is no longer something your business can afford to leave to chance. Ensure you have a proper CCTV system in place to provide a watchful eye over your business, staff, and inventory when you are simply not able to be there. With more than 30 years in the property protection business, Pre-Lock Security has been keeping commercial clients safe and secure around the clock. We have a flawless record with the Better Business Bureau, been members of CANASA since 1978, and install the best brand name security products around that together will provide you with "Real Security Under Lock & Key". Pre-Lock Security Services is your Toronto CCTV single source security provider for closed circuit security, DVR's, surveillance ,cameras and off site video review of your commercial property 24 hours a day. Once installed your cameras will record the happenings of the day both during and after business hours and provide you with a certified video record that will let you know exactly what is going on and will be able to refer to the video images captured to determine who did what and when. Based in Toronto, we provide professional security services to anywhere in Ontario. Need more information on selecting the best real time video security system with live view DVR recordings. Looking for IP cameras for your office, factory, or parking area? Need the job done right the first time.? From DVRs to NVRs ... integrated security and networked security are only a phone call away. Contact our sales team for a professional review of your CCTV needs today.